Elections observers will be bound by a code of conduct which will strictly require them to act impartially and have no affiliations with any political party or group. 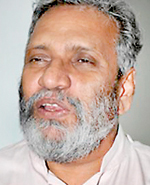 The Code of Conduct has been laid down by Elections Commissioner Mahinda Deshapriya. This is the first time such guidelines have been put in place for observers and it will come into effect from next Saturday’s elections to three provincial councils. Under the code, those who were engaged in politics or were candidates at an election during the past seven years are not eligible to be observers. Those who have held any post provided by the Government or any organisation based on political connection during the past seven years will also not be eligible. Observers will need to refrain from using any building, vehicle or telephone facilities of a political party or group for the activities of their organisation while the members of the board of directors, its officers and observers should not act in conformity with the objectives of a political party. Those affiliated to observer organisations are required to be completely impartial. If any complaints are received against the observers that they are acting contrary to this requirement, they will be immediately relieved of their work as observers and an inquiry held. The observers have also been asked not to engage in unnecessary conversations with staff, polling agents or voters at the polling station. They are also required to maintain secrecy regarding the activities at the polling station and will be required to sign a declaration at the polling station in this connection. The observers will also have to be attired in neutral dress by which their respective institution is identifiable while they will have to abstain from smoking or consumption of liquor or any intoxicant during the period of the observation of the poll. The observer groups have been also asked to refrain from issuing media statements or reports which could promote or prevent the election of a party or candidate and also refrain from issuing media statements relating to the Department of Elections without consulting the Department. The Campaign for Free and Fair Elections (CaFFE Executive Director Keerthi Tennakoon said he welcomed the code but insisted observers had been adhering to their own guidelines in the past even in the absence of official guidelines.